They described their struggles, their organisation – the Housing Assembly, and their links with trade unions – not only inspiring but for of instructive parallels to our battles on housing. They described how circumstances drew them in to activism and conveyed their absolute determination to achieve the necessary political change. They also brought out the failure of the ANC and its associated organisations to fight on behalf of the poor; the parallels with our debates on the Labour Party were clear. 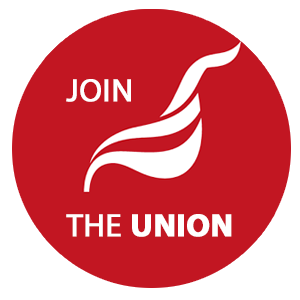 Unite members have discussed what links we should build with unions in South Africa. 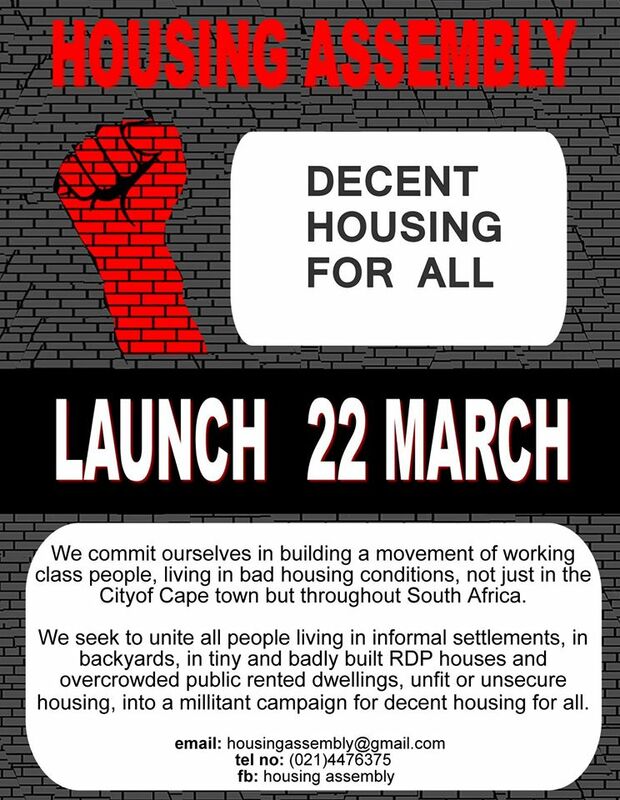 War on Want report: “The Housing Assembly was formed in 2009 to address housing inequality in Cape Town. They organise shack dwellers, back-yarders, people living in Transit Camps and those living in social housing. The Housing Assembly is represented in over 20 communities and has 6,500 members and over 400 frontline activists. The struggle for housing in South Africa is a struggle against the violence of neoliberalism which acts with particular intensity towards the poor and working class Black men, women and children. The struggle for housing also represents the disillusionment of millions of poor people who feel that the promise of better lives for all, made in 1994, has been broken. This powerful film tells the story of the Housing Assembly, a social movement in the Western Cape and partner of War on Want. At just under twenty minutes the film is well worth your time. Let’s draw inspiration from the Housing Assembly and build solidarity links with them.